Ecommerce website development is one of our areas and we are skilled in developing Ecommerce websites using WordPress, Magento, OpenCart, PrestaShop, OsCommerce, Zen Cart, Woo-Commerce and more. Customers purchasing online are more likely when design and SSL certificates are all in place. We specialize in creating professional and affordable information based websites and ecommerce websites for large and small businesses – offering a reliable and simple solution for your ecommerce website necessities. All of our ecommerce websites are designed & developed on user-friendly CMS (content management system) which allows you unlimited pages and 24/7 access to update and edit the content of your website or ecommerce shopping cart. 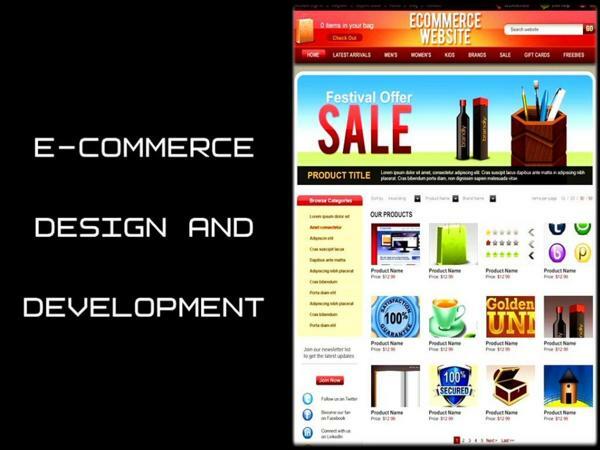 We develop Business-to-Business, Business-to-Customers websites, Ecommerce Shopping Cart Development, Payment Gateway Integration, Ecommerce Software Solution, Business-to-Business Ecommerce, Affordable and Customized Ecommerce Shopping Cart to offer clients ecommerce solutions to businesses worldwide.